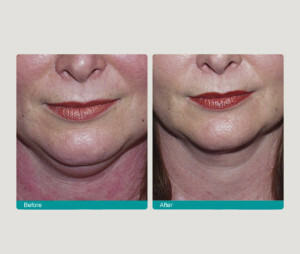 Liposuction is a technique to remove localised pockets of fat that are resistant to dieting, weight loss and exercise. It is best that you are at or close to your ideal weight for liposuction as fluctuations in weight may effect your outcome. Liposuction is not a treatment for obesity. It is ideal for localised pockets of fatty tissue that are resistant to dieting, weight loss and exercise. Liposuction is performed under local, twilight or general anaesthetic and small areas may be treated in the rooms. Local anaesthetic with an adrenalin solution is always used, either alone or in combination with other anaesthetics. The solution limits the bleeding or the bruising and ensures good pain control after the procedure. Hollow metal tubes or canulae of different sizes and shapes are used. An attached suction tube pulls the fatty tissue into the tubes and sharp holes remove the fat. These canulae are inserted through small concealed incisions, and multiple incisions are used to fan out the suction process which limits the occurrence of ridging. Once the fatty tissue is removed these fat cells have been eliminated; however, it must be remembered that a weight gain will deposit new fatty tissue throughout the body. Small tunnels are created in the fatty tissue so it is essential that a tight compression garment is used to collapse these tunnels. Bruising and swelling may occur and it is variable from person to person and even side to side. The compression garment will limit the bruising and swelling. Infection is rare. Small sensory nerves may be bruised causing patches of numbness. This usually recovers and may be associated with tingling. A seroma is a collection of fluid and this may occur, but will be drained through the skin by needle aspiration. Depending on the amount of tissue removed liposuction can be performed as a day procedure or hospital stay. It is often performed in combination with other procedures such as abdominoplasty (tummy tuck) and breast reduction. At the time of consultation Dr Kippen will take a full history and perform a thorough examination. Photographs are needed for surgical planning. He will detail the procedure, explain the likely recovery and give you information brochures to read at home. Before and after photographs and examples are used. Liposuction is generally well tolerated with a high degree of satisfaction. At the time of consultation, Dr Kippen will give a far more comprehensive explanation of the procedure and likely recovery. He will give you brochures to read as well as showing before and after photographs.